It's easy to use a character LCD with CircuitPython or Python and the Adafruit CircuitPython CharLCD module. 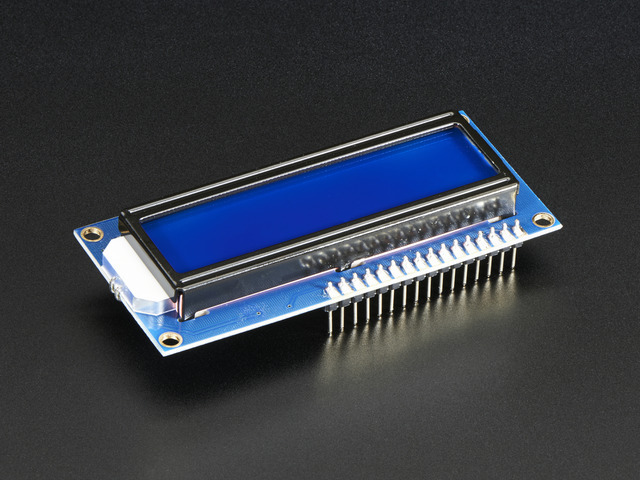 This module allows you to easily write Python code that controls a character LCD (either single backlight or RGB backlight). You can use these with any CircuitPython microcontroller board or with a computer that has GPIO and Python thanks to Adafruit_Blinka, our CircuitPython-for-Python compatibility library. Board 5V to LCD pin 2 and one side of the potentiometer. 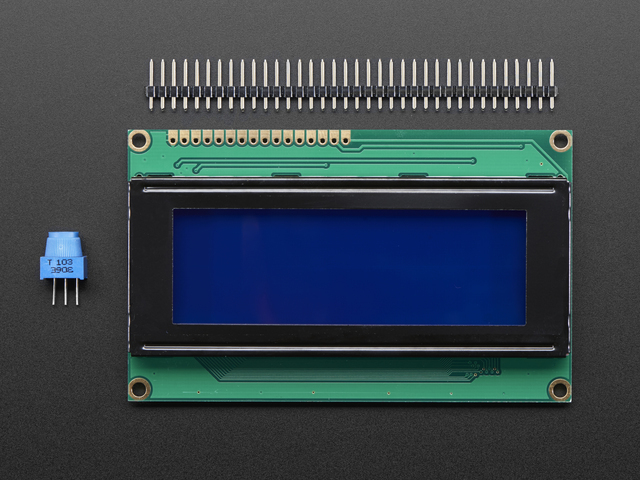 Board GND to LCD pin 1, 5, 16, and the opposite side of the potentiometer. Remember just like the Arduino wiring page mentions there are 4 unused pins on the LCD, pins 7-10. Board 5V to LCD pin 2, 15, and one side of the potentiometer. Board GND to LCD pin 1, 5, and the opposite side of the potentiometer. Pi 5V to LCD pin 2, 15, and one side of the potentiometer. Pi GND to LCD pin 1, 5, 16, and the opposite side of the potentiometer. 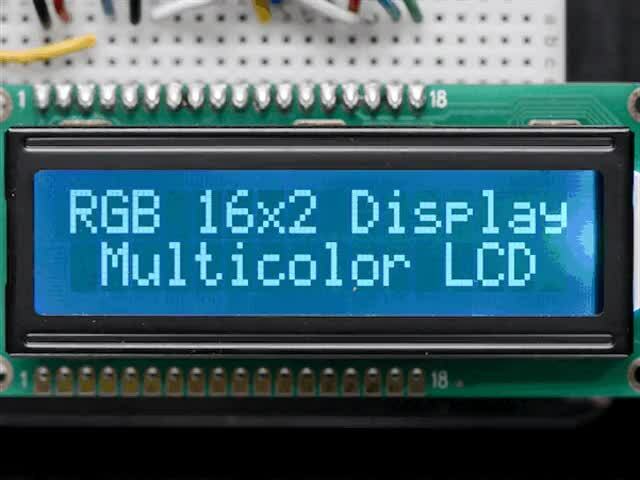 If you're using a RGB backlight character LCD, remember each of the red, green, blue color channels needs to be wired to a PWM-capable output pin on your computer (pins 10, 12, 18, 21 on the Raspberry Pi). 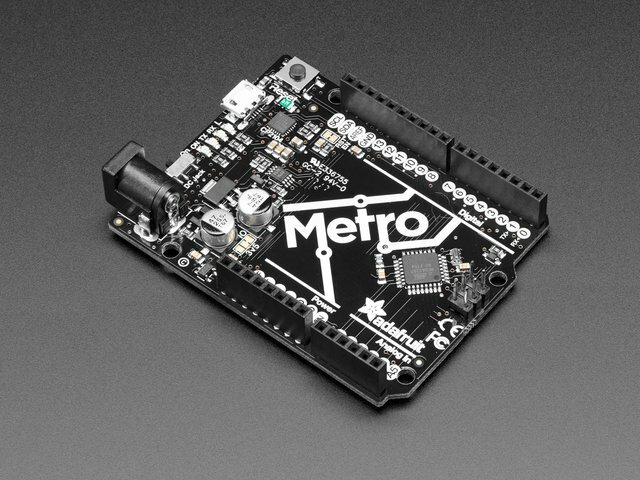 You'll need to install the Adafruit CircuitPython CharLCD library on your CircuitPython board. Before continuing make sure your board's lib folder or root filesystem has the adafruit_character_lcd, adafruit_mcp230xx, adafruit_74hc595 and adafruit_bus_device files and folders copied over. 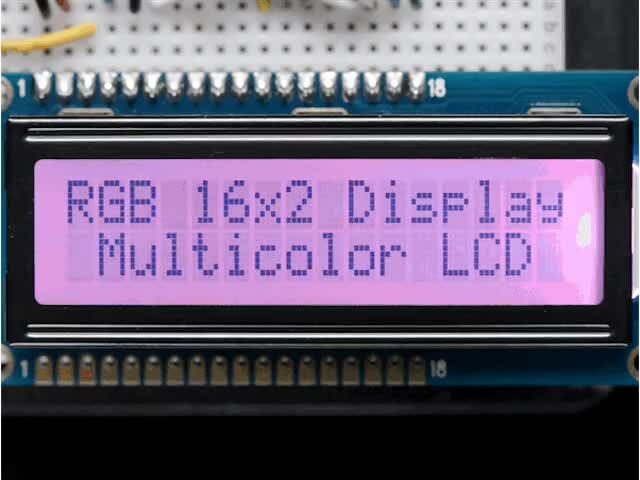 To demonstrate the usage of the character LCD we'll initialize it and display text using Python code. 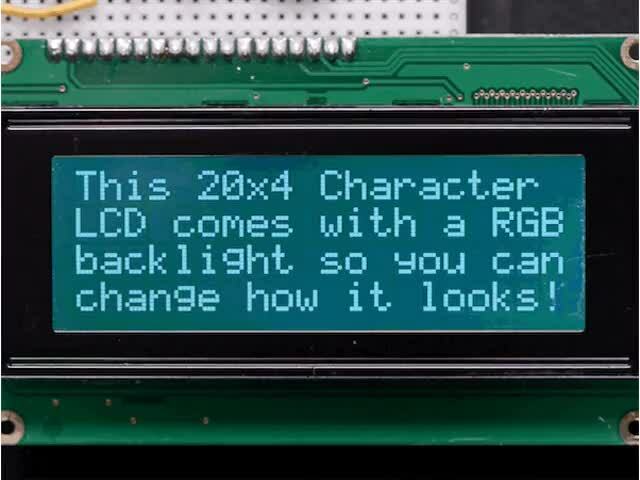 To use a Raspberry Pi with a character LCD with an RGB backlight, check out the example found here. 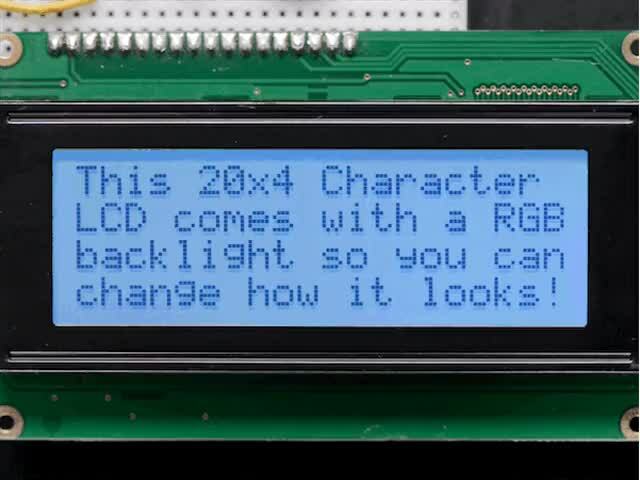 That's all there is to using a character LCD with CircuitPython! Be sure to see the examples in the character LCD library too for more fun like creating and printing custom characters. """Simple test for monochromatic character LCD"""
This guide was first published on Jul 29, 2012. It was last updated on Jul 29, 2012. This page (Python & CircuitPython) was last updated on Apr 23, 2019.